Vladimir is a strategy consultant at Kaiser Associates Latin America and President of AIESEC Alumni Colombia, a network of more than 1600 leaders committed to the development of the country. Vladimir is passionate about organizational problem solving, as well as youth leadership development, social entrepreneurship, and public service. In addition to leading more than 20 strategic consulting projects for leading organizations in Latin America, he is the co-founder and former president of Columbia University’s Impact Investing Initiative. He is also the co-founder of the Impact HUB Bogota for social entrepreneurship and innovation and the director of ICBF-Ministry of Social Prosperity of Colombia responsible for childhood and youth programs. Furthermore, he has conducted economic development consulting projects in Hong Kong, South Africa, Nigeria, and Colombia. 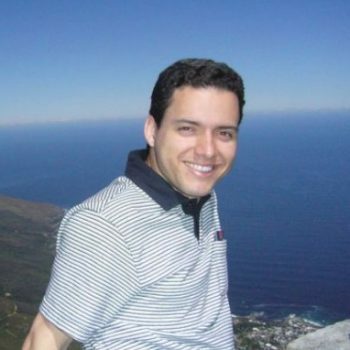 Vladimir holds a Master’s Degree in Public Administration and Economic Development from Columbia University in the US, a Specialization in Business Economics from FGV in Brazil, and a Bachelor in Economics and International Business from Icesi in Colombia.